In our Park Spotlight series, we take a closer look at Houston’s vast array of public recreational areas to shine a light on hidden and not so hidden gems. This week we’ll be spotlighting the very beautiful McGovern Centennial Gardens addition to the Hermann Park campus. Join us as we take a trip through Houston, park by park. 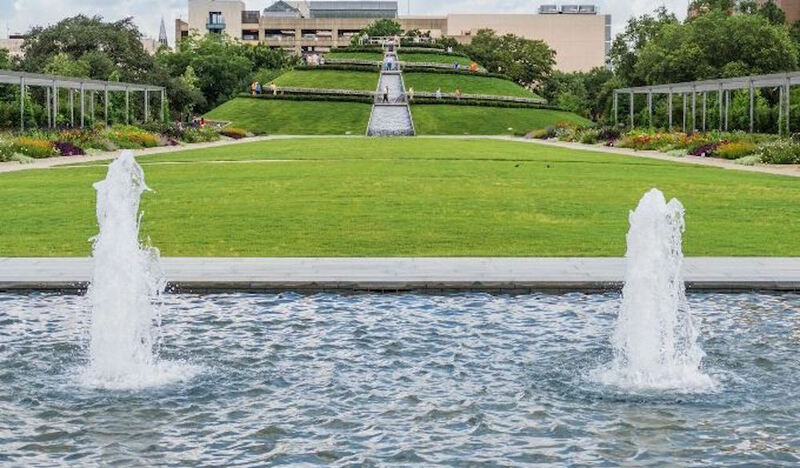 Spend a day exploring a unique collection of gardens, water displays, and an amazing mount that offers a better look of the surrounding area at the McGovern Centennial Gardens in Hermann Park. 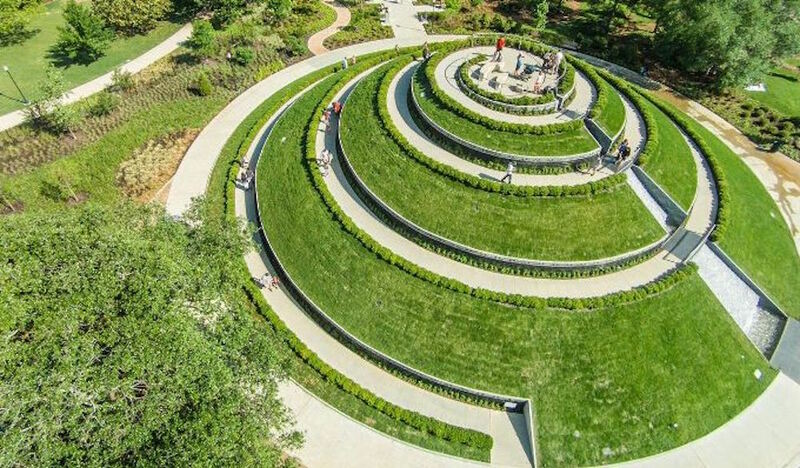 Situated north of the Med Center in the Museum District, this charming patch of greenery touts a spiral pathway that gives a birds-eye view of just that, as guests are guided to the top of a 30-foot grassy mound. In addition to the view of the park and bustling areas, guests can enjoy scenic grounds that include a rose garden, a woodland garden, a family garden, and busts of notable historical figures including Simon Bolivar, Benito Juarez, and Jose Marti, as well as full statues of Dr. Martin Luther King, Jr., and Mahatma Ghandi. As you explore the Gardens you’ll come across more than 490 new trees of over 50 different species, 760 hedge shrubs, 350 new roses in the Rose Garden, 106,875 other shrubs and perennials of 199 varieties, 115 new camellias and 650 new azaleas in the Woodland Garden, and more. Presented to the City of Houston by George Hermann in 1914, Hermann Park is one of Houston’s most popular and historically significant public green spaces. Since its inception, the Park has served as a tranquil refuge from the day-to-day bustle of city life. More than a hundred years later, the original vision for the Park has been realized thanks to a Master Plan and a $123 million Centennial Capital Campaign conceived and executed by the Hermann Park Conservancy, a public/private partnership with the Houston Parks and Recreation Department. The money raised has gone into creating the McGovern Centennial Gardens guests enjoy every day.